Forty percent of all motorcycle crashes in the U.S. are the result of another vehicle making a left turn. 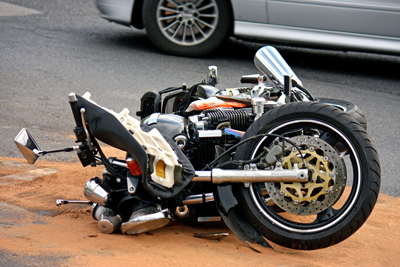 Most often these accidents occur when a motorcyclist is riding through an intersection and the driver of the vehicle coming from the opposite direction turns into the rider’s path. The result can be catastrophic and even deadly for the rider. Fails to see the smaller size of the motorcycle. Misjudges the speed the rider is going. Misjudges how close the rider is to them. Is distracted doing something they shouldn’t be doing while driving. Is driving under the influence of drugs or alcohol. The reasons these crashes occur are never an excuse and the driver of the vehicle who caused the crash should be held accountable for their negligence. Slow down when approaching an intersection. Make yourself as visible as possible with brightly colored clothing or a safety vest of reflective materials. Always use your headlight, even during the day. It’s against the law in Florida to ride without it on. Don’t pass vehicles on the right when going through an intersection. Always assume that oncoming vehicles are making a left-hand turn at the intersection, even if they aren’t using their turn signal.